Another episode of the unusual, entertaining, and alternative talk radio from Philidelphia with your host Frank Cotolo. 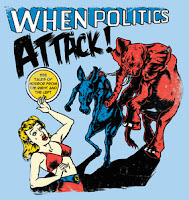 Jon Matthews, host of 'Right & Wrong Radio' joins our host to talk about the current circus of events and characters raising their voices as the 2012 Presidential election looms boldy. It's a lightweight match as Matthews and our host are chalk and cheese in these matters. Fun for the whole family. Do you have a podcast show you'd like to have featured here on Texas Online Radio?